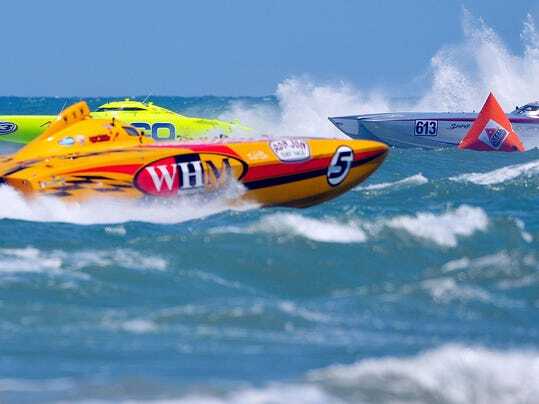 7th Annual Thunder on Cocoa Beach | King Rentals, Inc.King Rentals, Inc.
Thunder on Cocoa Beach will be returning to the Space Coast next weekend from May 11th through May 15th. Join the Kick-Off Block Party on Thursday at the Juice N Java cafe, enjoy refreshments and music and meet the teams that will be competing in Sunday’s races. Keep the party going with Friday’s Street Party in Downtown Cocoa Beach, Coconuts, and Hunkerdown Lounge. Sunday will have three race times, at 12:00p.m., 1:15p.m., and 2:00p.m. ; each race will run from the Cocoa Beach Pier to Lori Wilson Park along Cocoa Beach. The weather for the event should be breezy and mostly sunny, with some clouds and a very low chance of afternoon or evening showers. For detailed race information, visit the Thunder on Cocoa Beach website or event page on Facebook. If you are planning to visit the Space Coast and are in need of accommodations, give us a call at (321)-784-5046 or e-mail us at [email protected]! ← Treat Yourself with a Weekend Getaway This Labor Day!